The distance of a few thousand miles cannot be an impediment in your way of expressing love and care for your loved ones. 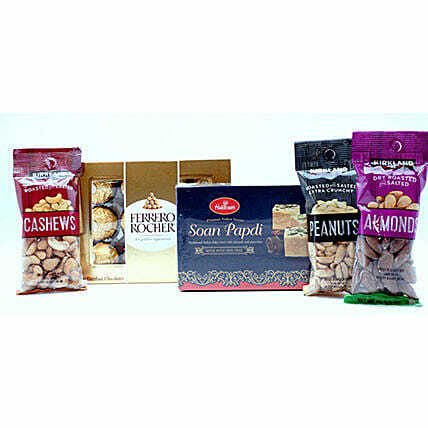 Show your love and care with this lip-smacking combo of Ferrero Rocher chocolates, Soan Papdi, and assorted nuts. Please refer to the expiration date and consume the sweets before that.